October 28th, 2013 | by Sophie S.
Education is becoming a rare commodity nowadays. With the recent economic downturn, the things we took for granted, like education, are becoming less of a viable option for young people. This is due to having a Student Loan debt becoming more of an issue, more competition in university and the fact that a degree won’t necessarily get you a job like it used to. However, this has led to employers looking at alternative education routes in a more positive light and young people with different experience might even have an edge over those with degrees. There are fewer and fewer jobs where a degree is considered a complete essential. A surprising amount of well-paid and well respected careers don’t require any sort of degree – lawyers, accountants or engineers don’t require degrees. Going to straight into work may mean that you will have to work harder to get to a respectable position, but working for three years in University doesn’t give you any life experience that employers are now seeking. If you are passionate about your career, then employers will find that more attractive than a University degree, which usually doesn’t give you any practical skills. The work route pays immediately and whilst you’ll have to start from the bottom and work your way up, an increasing number of University graduates are finding that they are having to do the same thing even with a degree. The popularity of apprenticeships has risen sharply recently. Described as a creative and “debt free” way to learning, it has captured the minds of young people and employers alike. Apprenticeships can sometimes be viewed as a route to education for blue collar or manual labour workers, however City and Guilds apprenticeships can be taken on a number of vocational and creative subjects. It’s been shown that people who’ve done apprenticeships earn roughly £150,000 more than their peers in their career. Apprenticeships are being viewed as a more practical option then a degree as most apprenticeships lead to full time work in young people’s chosen career, whereas the graduate employment rate is getting worse. There are many different routes into employment. University degrees used to only account for 1 in 10 jobs and whilst it has risen considerably in the last couple of years, so has the number of people going to university. 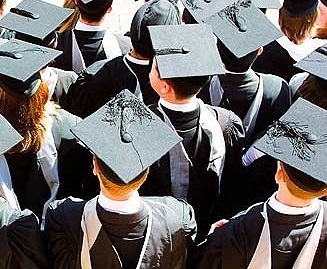 As university degrees become more commonplace, their unique selling point diminishes whereas practical skills, on-the-job work and vocational apprenticeships are becoming more attractive to employers.